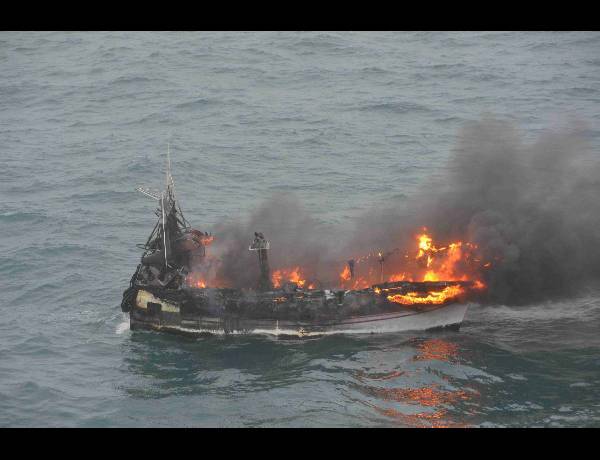 On February 28, the 20 meter long fishing vessel Ar Raok II caught fire in the Bay of Biscay off Belle-Île, France. 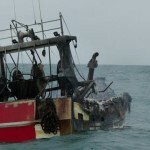 The fire erupted from some machinery on board and quickly swept through the trawler. The four crew was unable to contain the blaze. They sent out a distress call before forced to abandon ship into the vessel’s life raft. 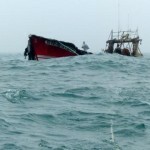 The nearby fishing vessel Joker responded to the alert and rescued the Ar Raok II crew. No reports of injuries. A French frigate and 2 SNSM lifeboats arrived on scene. The vessels attempted to douse the fire and cool the hull, but the Ar Raok II superstructure had already burned away. The blackened hull of the Ar Raok II was taken under tow, but the hull was too far damaged and it sank a short time later. The hull now rests in 50 meters of water near Belle-Île. 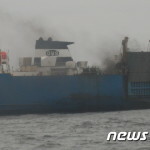 The 147 meter long ro-ro cargo vessel Ocean Queen caught fire off Busan, South Korea. 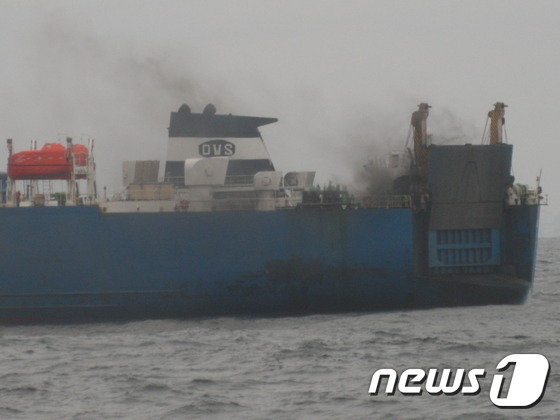 The Ocean Queen was en route to Vladivostok from Busan when fire erupted from the stern. The master reported that the fire started in the cargo hold and required assistance. 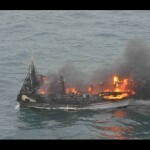 A Coast Guard vessel arrived on scene and assisted the crew extinguishing the blaze. No reports of injuries or pollution released. 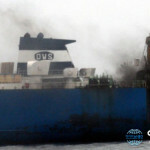 Reports state the cargo was most likely vehicles which were damaged or destroyed in the fire. 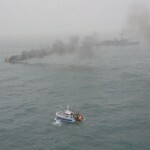 The 53 meter long, 387 dwt fishing vessel Narval ran aground in Avacha Bay off Kamchatka, Russia. The trawler was passing off Cape Shipunskiy during the night when it ran aground. The Narval sustained minor damage, but no water ingress was reported. The crew requested assistance, but bad weather prevented evacuation attempts. No further details reported.